Join us for the first-ever LIVE edition of Tim Clare's groundbreaking creative writing podcast Death Of 1000 Cuts, with very special guest Gareth L. Powell! 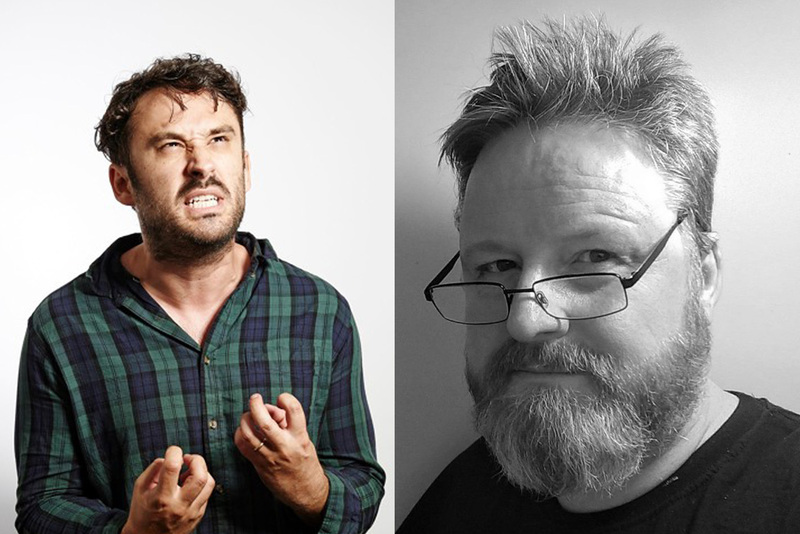 Tim and Gareth will also be issuing live critiques of audience submissions: more details on how to submit the first page of your novel for consideration here. Includes a glass of wine and 10% off featured books purchased on the night. Tim Clare is the author of The Honours, The Ice House (May 2019), and We Can’t All Be Astronauts (winner Best Biography/Memoir – 2009 East Anglian Book Awards). He also presents the creative writing podcast Death Of 1000 Cuts for anyone who wants to know how to write a novel, write great fiction, and get published. His Couch to 80k Writing Boot Camp is a free 8 week writing course by podcast. Gareth L. Powell is a speculative fiction author from the UK. He has won the BSFA Award for Best Novel and been shortlisted for the Seiun Awards in Japan. His novels and novellas have been published in the UK and US by Solaris, Titan Books, and Tor.com Publishing. His short fiction has appeared in Interzone, Clarkesworld, and Gardner Dozois’s Year’s Best Science Fiction, and his story ‘Ride The Blue Horse’ was a finalist for the 2015 BSFA Award. His forthcoming nonfiction book About Writing (June 2019) is an essential field guide for aspiring authors. Tim Clare's Death Of 1000 Cuts is an innovative, searingly honest and unique creative writing podcast, featuring guest authors, addictive writing rambles and regular critiques of the first page of listeners' novels. Previous guests on the podcast include Claire North, Joe Dunthorne, Tade Thompson, Nikesh Shukla, Lauren Groff, Guy Gunaratne and V.E. Schwab. It also spawned the hugely successful Couch to 80k Writing Boot Camp podcast, a free writing course to kickstart the creative habits of any writer.